After teaching in both public and private schools for a number of years, Dr. Ingersoll obtained a Ph.D. in sociology from the University of Pennsylvania in 1992. From 1995 to 2000 he was a faculty member in the Sociology Department at the University of Georgia and currently he is Professor of Education and Sociology at the University of Pennsylvania. Dr. Ingersoll’s research is concerned with the character of elementary and secondary schools as workplaces, teachers as employees and teaching as a job. He has published numerous articles, reports and pieces on the management and organization of schools; the problem of underqualified teachers; the debate over school accountability; the problems of teacher turnover and teacher shortages; the status of teaching as a profession; and the degree to which schools are centralized or decentralized and its impact on school performance. His research is nationally recognized, was cited by President Clinton in a number of speeches announcing his teacher recruitment and training initiatives, influenced the No Child Left Behind Act, and has been featured in numerous major education reports, including those published by the National Commission on Teaching and America’s Future, the Education Trust, the Alliance for Excellence in Education, the National Governors’ Association and the international Organization for Economic Co-operation and Development. Dr. Ingersoll has received a number of awards, including: the Richard B. Russell Award for Excellence in Teaching from the University of Georgia; the Harry Braverman Award from the Society for the Study of Social Problems for his work on organizational control and accountability in schools; an American Educational Research Association Fellowship, which he served in residence at the National Center for Education Statistics; the 2004 National Award of Distinction from the Penn Education Alumni Association; and the 2004 Outstanding Writing Award from the American Association of Colleges for Teacher Education for his book, Who Controls Teachers’ Work? Power and Accountability in America’s Schools, published by Harvard University Press. 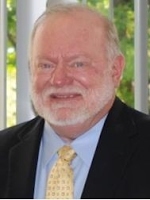 He was elected as a Fellow of the American Educational Research Association in 2009. Dr. Ingersoll has conducted numerous briefings of local, state and federal policy makers and been invited to present his research before many groups, including: the Aspen Institute’s 2007 Education Policy Program for Members of Congress, the Congressional Hearings on Teacher Preparation Initiatives held by the U.S. House of Representatives’ Committee on Education and the Workforce in 1998; the National Commission on Mathematics and Science Teaching for the 21st Century, chaired by Senator John Glenn; the Science and the Congress Briefing in 2000; the 2001 Congressional Research Service’s seminar for new members of Congress, sponsored by the U.S. House of Representatives; the Council of the City of New York; and education reform commissions in many states. Published in the September, 2010 issue of the American Educational Research Journal Download a copy. Released in October 2010 by the Consortium for Policy Research in Education Download a copy. Do We Produce Enough Mathematics and Science Teachers? This is a news story on the above two articles. It was published in the October 29, 2010 issue of Science. Download a copy. Edward A. Silver is Dean of the School of Education at University of Michigan-Dearborn. He is also the William A. Brownell Collegiate Professor of Education and Professor of Mathematics at the University of Michigan in Ann Arbor, where he has previously served as Chair of the Educational Studies Program and as Associate Dean for Academic Affairs. His scholarly interests include the study of mathematical thinking, especially mathematical problem solving and problem posing; the design and analysis of intellectually engaging and equitable mathematics instruction for students; innovative methods of assessing and reporting mathematics achievement; and effective models for enhancing the knowledge of teachers of mathematics. He has published numerous articles, chapters, and books on these topics. He served as editor of the Journal for Research in Mathematics Education from 2000-2004, and as co-editor of The Elementary School Journal from 2008-2010. He was the 2004 recipient of the Award for Outstanding Contributions of Educational Research to Practice from the American Educational Research Association, the 2007 recipient of the Iris Carl Memorial Leadership and Equity Award from TODOS, and the 2009 recipient of the Lifetime Achievement Award from the National Council of Teachers of Mathematics. Ellen Moir is Chief Executive Officer of the New Teacher Center (NTC), a national organization dedicated to improving student learning by accelerating the effectiveness of teachers and school leaders. She is recognized as a passionate advocate for our nation’s newest teachers. Ellen founded NTC in 1998 to scale high quality teacher induction services to a national audience. NTC strengthens school communities through proven mentoring and professional development programs, online learning environments, policy advocacy, and research. Today NTC has a staff of over 150 who work closely with educators and policymakers across the country. NTC seeks to insure that the nation’s low-income, minority, and English language learners, those students most often taught by inexperienced teachers, have the opportunity to receive an excellent education. Ellen is widely recognized for her work in beginning teacher development and school reform. She has extensive experience in public education, having previously served as Director of Teacher Education at the University of California at Santa Cruz and worked as a bilingual teacher. Ellen is a recipient of the 2011 Skoll Award for Social Entrepreneurship. Other major awards include the 2010 Civic Ventures Purpose Prize Fellow, 2008 National Staff Development Council Contribution to the Field award; the 2008 Full Circle Fund Impact Award; the Harold W. McGraw, Jr. 2005 Prize in Education; and the 2003 California Council on Teacher Education Distinguished Teacher Educator Award. Axelle Faughn is an Assistant Professor of Mathematics Education at Western Carolina University, North Carolina. She holds a high school mathematics teacher certification from France and a doctoral degree in Computer Algebra from both France and the United States. Her current research focuses on the use of technology that supports the work of secondary mathematics teachers. She has been a Research Associate for the California-based Supporting Teachers to Increase Retention project since 2007 and has organized the PME-NA working group on Mathematics Teacher Retention for the past three years, examining the opportunities and challenges a variety of professional development models provide for Mathematics teachers in their first five years of teaching. Such models include focusing on Teachers’ TPACK, Professional Learning Communities, and enhancing mathematical inquiry in the classroom. Goldberg’s Council legacy includes authorship of the “Living Wage” ordinance which guarantees a living wage and benefits to all employees working directly or indirectly for the City of Los Angeles, her work in the economic revitalization of Hollywood, including the successful negotiation with developer TrizecHahn to build a retail entertainment complex in the heart of Hollywood, which includes the current home of the Academy Awards, and to provide a “Living Wage” to all employees of the complex, the creation of model after-school enrichment programs in every middle school in the district, the passage of a citywide ban on the sale of small, cheap handguns known as “Saturday Night Specials” and development of the extremely successful “Slum Abatement” program which holds landlords accountable to the City for the condition of their properties and provides an effective system of redress to tenants who have complaints. 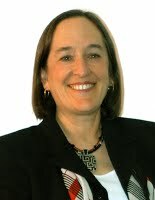 Assemblymember Emeritus Goldberg was elected overwhelmingly to her first term in the California State Assembly on November 7, 2000, and was re-elected in 2002 and 2004. While in the State Assembly, she was a key architect of two major School Bond Issues, authored by then Assembly Speaker Robert Hertzberg. It was these two bond issues that finally brought relief from the extreme overcrowding in the L.A. Unified School District as well as 14 other “critically overcrowded” school districts. She also chaired the Assembly Education Committee for four years. Goldberg is also the author of the Domestic Partner State Law that today provides same-gender couples with both the rights and responsibilities of married couples in the state of California. Susan Moore Johnson is Jerome T. Murphy Professor of Education at Harvard Graduate School of Education. A former high school teacher and administrator, she has a continuing interest in the work of teachers and the reform of schools. Since 1998, Johnson has directed The Project on the Next Generation of Teachers, where researchers study how best to recruit, support, and retain a strong teaching force. The Project’s work includes studies of hiring practices, alternative preparation programs, new teachers’ attitudes toward careers, their work with colleagues, and their views of teachers unions. In 2004, Johnson and colleagues published Finders and Keepers: Helping New Teachers Survive and Thrive in Our School (Jossey-Bass). Recently, Johnson and John P. Papay proposed a new career-based plan for compensating teachers in Redesigning Teacher Pay(Economics Policy Institute). Timothy D. Kanold obtained his B.S. in Education with a major in Mathematics and a Master’s Degree in Mathematics from Illinois State University. He has received his Ph.D. in Educational Leadership and Counseling Psychology from Loyola University. Tim is an immediate Past President of NCSM and was the Superintendent at Adlai E. Stevenson High School District 125 in Lincolnshire, Illinois for 6 years, where he also served as Director of Mathematics and Science for 17 years. He currently serves as a writer for and Director of E^2-PLC Learning – a consulting group – for Mathematics and English that serves mostly urban districts. Tim is also co-author of numerous mathematics textbooks grades 6 – 12, written for Houghton Mifflin Harcourt Publishing Company from 1988 to the present. And has published numerous school leadership articles for the JSD. Solution Tree published his most recent book, The Five disciplines of PLC Leaders, in 2011. He is the 1986 recipient of the Presidential Award for Excellence in Mathematics Teaching, the 1991 recipient of the Outstanding Young Alumni Award from Illinois State University, the 1994 recipient of the Outstanding School Administrator Award from the Illinois State Board of Education, and the 2010 recipient of the prestigious Damen Award for school leadership from Loyola University, Chicago. Tim was the lead editor for the 2008 PRIME Leadership framework published by NCSM and has recently co-authored the book What Every Principal Needs to Know About the Teaching and Learning of Mathematics, written with Co-authors Skip Fennell and Diane Briars (Solution Tree, 2012). Miriam Leiva has been a teacher of mathematics, grades K-12 and university, and is the Cone Distinguished Professor of Mathematics Emerita at the University of North Carolina at Charlotte, where she taught for 35 years. She is the Founding President of TODOS: Mathematics for ALL, an organization committed to equity in mathematics education for all students. She has served as Director of Teacher Preparation for Mathematics and Science at NSF, on the boards of NCTM, NCSM, the US National Commission on Mathematics Instruction, on the Conference Board of the Mathematical Sciences, as President of the NC Council of Teachers of Mathematics, and Chair of the NC Mathematics Curriculum. She received the NCSM Glenn Gilbert National Leadership Award, the TODOS Iris Carl Leadership and Equity Award, the Rankin Award from NCCTM, the Bank of America UNCC Teacher Excellence Award, the Guilford College Alumni Excellence Award, and the North Carolina Diamante Award for her contributions to the education of Hispanics. She has made hundreds of presentations nationally and internationally and has published in journals and books. She edited and co-authored eleven NCTM books for teachers, and is also senior author for mathematics textbooks, K-12. Her work in math. and math. education focuses on making the content accessible through best practices for all students, in particular when teaching teachers mathematics. It also focuses on the barriers presented by culture, language and context. These strategies are grounded on her research, practice, and experiences as an ELL who studied math because it was the only language she understood in school when she came to the US. Dr. Christine D. Thomas is Associate Professor of Mathematics Education in the Department of Middle Secondary Education and Instructional Technology at Georgia State University. Dr. Thomas’s research and publications are grounded in the development and enhancement of high quality mathematics teachers for urban schools. She is principal investigator for a National Science Foundation Grant, the Robert Noyce: Urban Mathematics Educator Program and has been recently award a Phase II Noyceproject to conduct research on the retention of mathematics teachers in urban high need schools. She served on the National Council of Teachers of Mathematics (NCTM) Board of Directors and also served on the editorial panel of the Mathematics Teacher, a premier journal for mathematics teachers. She served as Co-Chair of the steering committee of the North American Chapter of the Psychology of Mathematics Education from 2007 – 2010. She serves as an associate editor for the Journal of Urban Mathematics Education. Chris Yakes is Associate Professor of Mathematics in the Mathematics and Statistics Department at Chico State University. While a Ph.D. student in mathematics at UCLA under the tutelage of Ted Gamelin, then Adviser to the California Mathematics Project (CMP), he gained valuable experience in the professional development of mathematics teachers as an NSF GK12 fellow. Since then, he has devoted his professional energy to determining the most effective was to support in-service teachers in improving their instruction and to develop the mathematical and pedagogical content knowledge of pre-service teachers before they enter the classroom. He is the Co-PI and Co-Director of the Chico Mathematics Project, one 19 CMP sites, and has been PI on several grant projects that provide ongoing support for teachers. His current interests include the impact of mathematics coaching on changing teacher practices and the relationship between teacher content knowledge and student achievement.